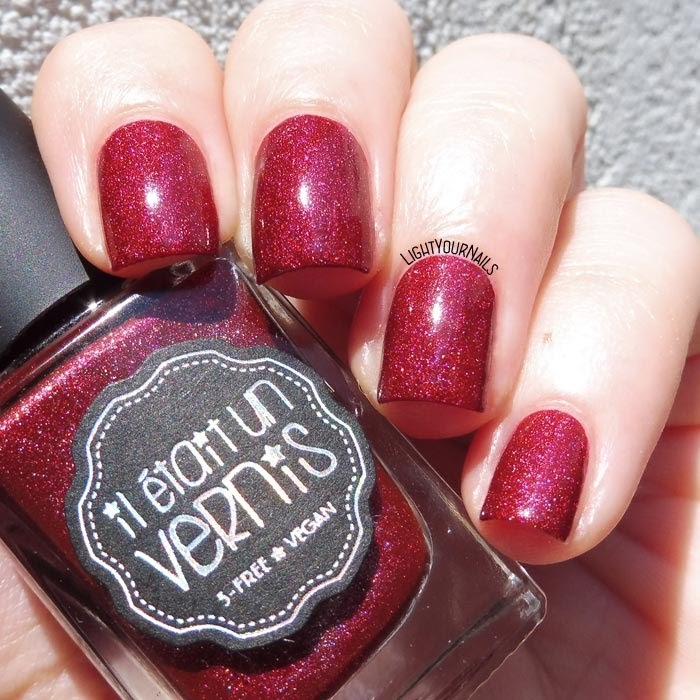 Il Etait Un Vernis Pinot Noir | Light Your Nails! Today's time for letter P in the Untried A-Z Challenge. I picked an indie brand that recently went out of business unfortunately. 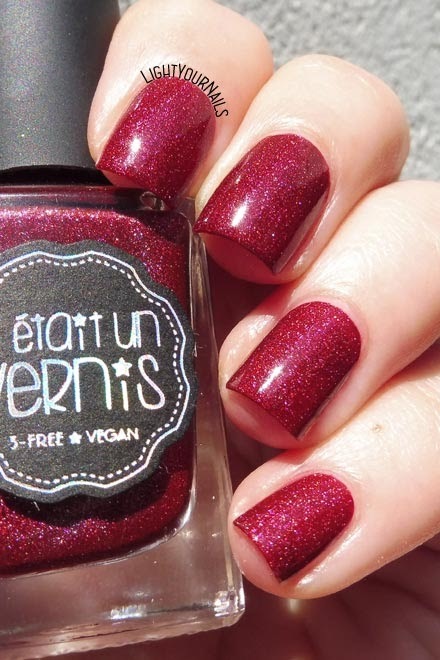 My nail polish is Il Etait Un Vernis Pinot Noir, a wine red holographic shade, hence the name. I'd say this is too dark for me right now though. Application was easy, it dried quick and glossy. I had so many shades from this brand in my wishlist, but I guess it's too late now. It's a shame it didn't last longer. 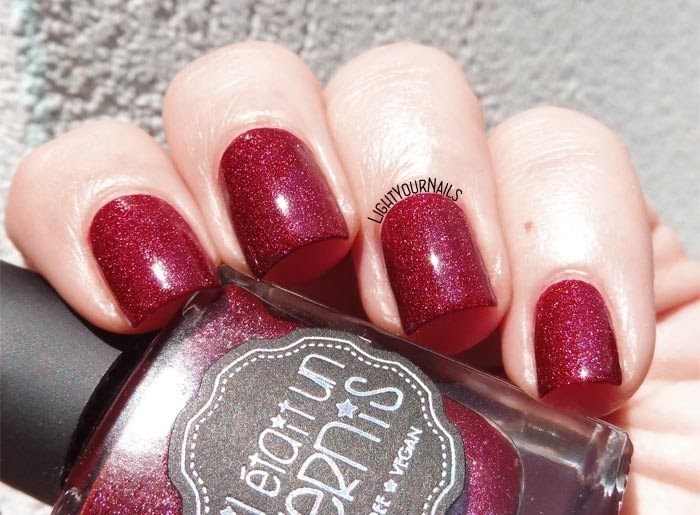 Talking about Pinot Noir, it's a beatiful polish, but right now I always feel like wearing either light or bright colours so I removed it happily when it chipped. And then I have naked nails now for lack of time! How do you like it? And what colours do you wear best this season? Thank you Helena! Such a shame they closed business.